But what if there was a sense in which you really could tell the future? And what if we could also make a particular outcome more likely, even certain? The emerging technology known as gene drives offers just such a prospect for favoring particular traits in future plants and animals—to increase agricultural output, to reduce the risk of infectious disease transmission, or something we haven’t yet imagined. Indeed, some have already suggested using gene drives to eliminate certain mosquitoes that can spread Zika, malaria, and other ailments. But is that a good idea? How should we think about employing such a technology in ways that anticipate, and weigh, its benefits and harms for current and future generations? Over the past year, at the request of the National Institutes of Health and the Foundation for the NIH, a committee of the National Academies of Sciences, Engineering, and Medicine considered these questions. Last month, the committee, which I co-chaired with Elizabeth Heitman from the Center for Biomedical Ethics and Society at Vanderbilt University Medical Center, released its report—“Gene Drives on the Horizon: Advancing Science, Navigating Uncertainty, and Aligning Research with Public Values.” So what did we conclude? I will get to that in a minute, but first, a lesson on the science. Gene drive technology allows scientists to alter the normal rules—odds, if you will—of genetic inheritance in sexual reproduction. Through gene drives, we can significantly enhance the chances (from nature’s 50-50 odds in most sexually reproducing species) of a particular gene being passed to an offspring. The gene drive technology combines an altered genetic trait, such as producing a male, with an increased likelihood the trait passes throughout a population. This is a new tool in a well-established pursuit. Inheritance is an area in which humans put a lot of effort into managing future outcomes. Breeders may work for years or decades to ensure that characters such as a plant’s seed size, or a horse’s strength or speed, pass predictably from generation to generation. How predictably? Well, throughout history the essence of “good breeding” is making passage of a desirable trait between generations as reliable as possible. The gene drive technology combines an altered genetic trait, such as producing a male, with an increased likelihood the trait passes throughout a population. It was only in the late 1800s, however, that experiments with pea plants by an Austrian monk, Gregor Mendel, raised the prospect that managing the passage of traits between generations could move beyond best practices or even best guesses. Mendel demonstrated that for at least some parental traits he could predict the average frequency with which they would occur in offspring. For example, if parent plants in a sexually reproducing species had red flowers or yellow seeds, a prediction might be that half of all offspring would have red flowers or yellow seeds. It was a remarkable advance. By early in the 20th century, Mendel’s results were among the fundamental insights leading to the science of genetics. Geneticists work to reveal the rules of inheritance by understanding the processes that link an individual’s DNA, or genotype, to the expression of a particular trait, the phenotype of a developing organism or an adult. This requires understanding the molecular and environmental variables controlling an outcome, such as having a male or female offspring. We know that in most species with two sexes, we can expect on average the offspring generation will have about half males and half females. This is a basic rule of inheritance. Absent forces such as gene mutation or natural selection, the frequency of many traits in the offspring generation will equal that of the parental generation. But what if you had the technology to alter that basic rule and cause the ratio in the offspring generation to be 60:40 males to females, or 70:30, or even 99:1? Gene drive technology opens up such possibilities. A gene drive could be designed to increase the likelihood a female produces males as opposed to females. In addition, with the passing of each generation the fraction of males in a population increases as the trait “drives” through a population—the future becomes more certain. In an extreme, much or all of a population could become males, and of course for a species with sexual reproduction the result would be reduction or elimination of a population, or even extinction of a species. But should gene drives be used to alter population sizes, perhaps to the point of extinction? On the upside, gene drive modified organisms hold the promise of improving human health and agricultural productivity, conserving other species, and advancing basic research. Imagine eliminating a mosquito species that carries malaria. There are, however, possible downsides to releasing gene drive modified organisms in natural ecosystems. How should we consider using such gene drive power? What should we consider before deciding whether to use it? There is insufficient evidence available at this time to support the release of gene drive modified organisms into the environment. However, the potential benefits of gene drives for basic and applied research are significant and justify proceeding with laboratory research and highly-controlled field trials. Some of the gaps in understanding the full impacts of gene drive technology include ecological and evolutionary processes in natural ecosystems. If we diminish or even eliminate a species like a mosquito that transmits a pathogen that infects humans, what will that mean for the ecosystem’s stability? This action, for example, may then open an opportunity for one or more additional insect species that transmit even less desirable infectious diseases to become established or increase in numbers. 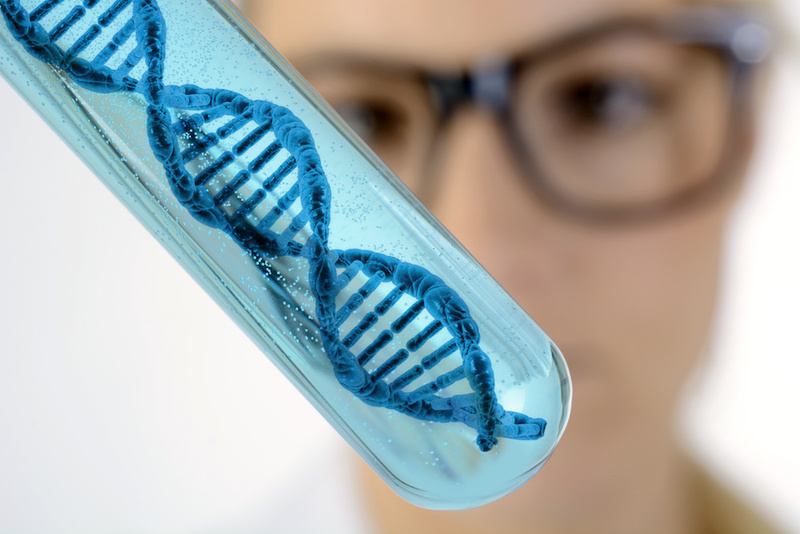 The committee’s blueprint for moving forward includes a gradual framework for testing that stretches from laboratory development to field release and monitoring of gene drive modified organisms. We recommended ecological risk assessment as a method for quantifying how a specific change or changes in the environment will affect something of value to society—such as water quality or the chance that an unwanted pest species that transmits an infectious pathogen might become established. Controlling the future of inheritance across entire populations and species is a powerful scientific advance, one that is hard to overstate. And, as often happens, there is a risk of scientific research outpacing the development of a broader ethical framework to determine whether, and how best, to deploy this newly acquired scientific power. Let’s hope scientists, and governments everywhere, heed the report’s call to proceed with caution. The promise of gene drive technology is immense, but when we’re talking about the power to make certain species extinct, it’s a technology we can’t afford to misuse. James P. Collins is Virginia M. Ullman Professor of Natural History and the Environment in the School of Life Sciences at Arizona State University in Tempe. *Photo by Dan Race/Adobe Stock.